When Sage&Luna’s Abbey Adamson and her husband Craig discovered they were having twins, understandably it took some time for the shock to wear off. But when it did, probably about six months after daughters Sage and Luna arrived, she quickly went about adjusting her life to her new circumstances. One thing Abbey was not willing to sacrifice was her personal style. But despite searching high and low for the dream leather nappy bag, she couldn’t even find anything close to what she had in mind. “I thought, am I seriously the first woman to look for a stylish leather baby bag? I couldn’t possibly be the only person who had searched for one,” Abbey said. With little to do but be at the beck and call of her twin daughters, Abbey’s mind went into overdrive. “As I sat there for hours on end breastfeeding my daughters, the design for the Leda bag grew in my mind. I thought of all the features I wanted in, all the conveniences, with the style of bag that I loved,” she said. Sage&Luna has two very important missions. For every bag sold a birthing kit is donated to the Birthing Kit Foundation Australia who ensure, through their field partner network, that the kits reach vulnerable women in developing countries. “The privilege of bearing twins and being able to worry about finding a nappy bag that suited my style was not lost on me,” Abbey said. “So many women in the world face birthing complications and possible death when they have one child, let alone carrying two. Every woman should have access to a safe and clean birthing environment. The kits contain essential items to provide a clean birthing environment and reduce the risk of infection in both mumma and bub, including a plastic sheet, gauze squares, sterile scalpel blade, soap, gloves, and string. Sage&Luna’s second mission is closer to home and one Abbey takes seriously. “At the same time, our mission for women in Australia is still important,” she said. “There is this societal attitude that a woman has to change her identity when she becomes a mother. It seems to be expected that we should sacrifice all aspects of ourselves, because children come first. “Given so many women use their personal style to express who they are, their emotions and moods, it was such a shock that there was nothing on the market that allowed a new mother to do this while still giving them the practicality they need. Abbey said that while a mother’s life is transformed completely when you have children, they shouldn’t be forced to give up this aspect of their life as well. “As a mother you are told that it doesn’t matter because you have bigger things to worry about but it does matter and it is totally reasonable that a woman wants to hold on to her own identity and take fashion seriously,” she said. Visit the Sage&Luna to see the full range of beautiful baby bags for mummas and pappas that refuse to lose their style. You can shop Sage&Luna bags and more at One Fine Baby Fair. 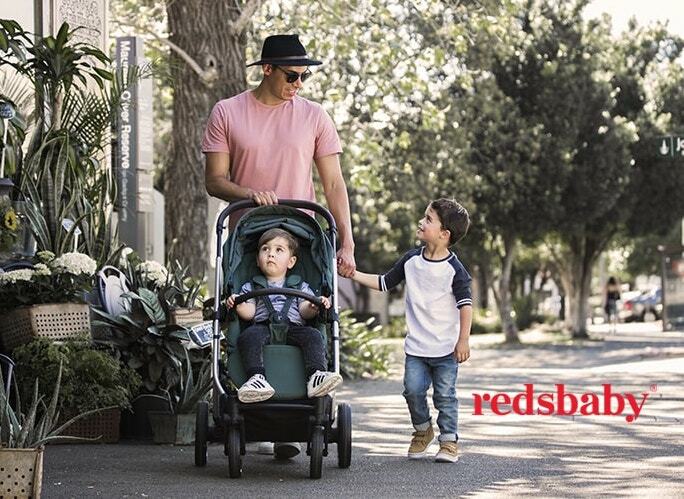 This FREE 2-DAY EVENT in Sydney and Melbourne brings together 100+ must-have brands & services for mother, baby and child. Choose from fashion, designer baby goods, interiors, stationery, photographers, health, arts & crafts and much more. The fair creates the perfect shopping experience under one roof. Yes, our stall holders love to offer show specials, competitions and giveaways. This year we have introduced The Education Hub to help you in your parenting journey from fitness to sleep and nutrition.